Wilt u snel weten hoe uw organisatie ervoor staat als het om maatschappelijk verantwoord inkopen gaat? Met de quickscan heeft u daar binnen een paar minuten antwoord op. Wilt u een gedetailleerder inzicht over hoe uw organisatie ervoor staat op het gebied van Maatschappelijk verantwoord inkopen? Dan is de ISO 20400 scan iets voor u.
Zelfverklaringen: waar staat uw organisatie? Wilt u graag met een organisatie samenwerken en weten hoe ver zij zijn met de implementatie van MVI? Bekijk dan het register. Awareness of sustainable procurement (SP) and its urgency is on the rise. Of a organization’s total expenditure, an average of 70% is related to procurement. You can influence this procurement costs by examining where improvement is possible in the supply chain. This applies to both public and private organizations. This webtool offers you the tools for using the ISO 20400 Guidance 'Sustainable Procurement’ successfully in your organization. The webtool ISO 20400 has been developed by NEVI and NEN and powered by Rijksoverheid. How does this webtool work? After completing the scan, you will receive practical tools and customized actions designed to help you implement SP successfully and/or to improve your SP policy, strategy and processes. The webtool consists of a number of components including an ISO 20400 scan, a customized implementation plan and a self-declaration. Biedt handvatten voor het verduurzamen van organisaties en toeleveringsketens. Geeft input voor het maatschappelijk jaarverslag en de niet-financiële paragraaf. Sluit aan op de dagelijkse praktijk van uw organisatie. Kan met meerdere collega’s worden doorlopen. Is makkelijk te gebruiken met ISO 26000, ISO 9001 en ISO 14001. Is geschikt voor alle type organisaties, zowel profit als (semi-)publiek. Creëert businesskansen en leidt tot duurzame producten en diensten. The quick scan is a preview of 11 questions from the ISO 20400 scan. These 11 questions give you a general idea of the sustainable procurement that is integrated in your organization. 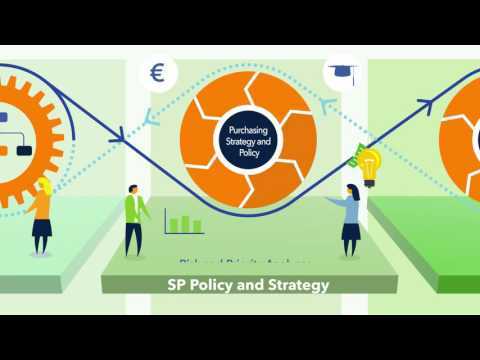 Would you like more detailed insight into how your organization stands regarding SP? Then the ISO 20400 scan is for you. This online tool consists of a carefully composed set of questions and statements taken from the guidance. After completing this scan, you will know detailed information on how your organization has implemented SP and what steps you can take. You can also complete the scan together with your colleagues. Are you interested in working with an organization and want to know how far along they are with implementing SP? View the registry how this organization stands regarding sustainable procurement. After completing the ISO 20400 scan, you can download your customized implementation plan including concrete action steps based on your growth level. This plan offers practical tools for continued work with SP. You can also download the self-declaration after completing the ISO 20400 scan. If you choose, you may also publish it on the online registry. The self-declaration allows you to clarify how your organization is equipped to address SP for employees, the management team or your customers and suppliers. In addition, you can also view the self-declarations from other organizations.